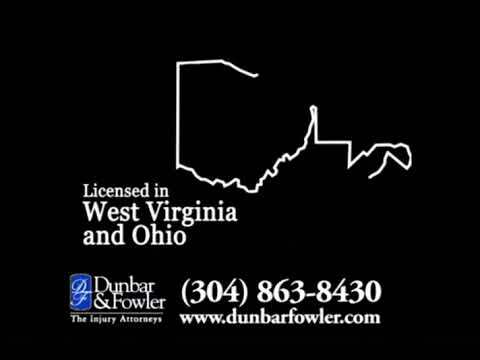 The lawyers at Dunbar & Fowler PLLC are known throughout West Virginia and Ohio as The Injury Attorneys. The firm concentrates its practice on Car Accident Injury Law. We exclusively represent clients injured in situations resulting from the negligence, recklessness or misconduct of others. From our offices in Parkersburg, West Virginia, the attorneys at Dunbar & Fowler PLLC are available 24 hours a day—including Saturdays and Sundays—to provide high quality legal representation for our clients in West Virginia and Ohio. We provide personal and attentive service to assist clients through the entire process of dealing with insurance companies. We handle car wreck injuries all around the Mid-Ohio Valley Region, including Parkersburg, Marietta, Belpre, Vienna, Athens, Williamstown, Ripley, St. Marys, Harrisville, West Union, Lowell, Vincent, Nelsonville, and McConnellsville, just to name a few. Our experienced personal injury law firm in Parkersburg is prepared to fight for your rights when you are injured. That is why we offer prompt, comprehensive and caring support in cases of injury or wrongful death resulting from the negligence, recklessness or misconduct of others. An initial discussion of your case is always free of charge or obligation, and no up-front retainer fee is required. At Dunbar & Fowler PLLC, we recognize that most people cannot afford up-front fees, so you are charged only if we are successful in recovering an award for you. Fees are based on a contingency fee arrangement and are therefore based on a percentage of any recovery made for you. The injury help line is always available, and a review of your case is always free. Contact the Parkersburg injury attorneys of Dunbar & Fowler PLLC to discuss your case with experienced car accident and injury lawyers who really care. Call the firm at 304-863-8430 today or submit your case for a free review.